Given that crude is generally more volatile than the major equity indexes, there seems to never be a dull moment in the energy sector. This week is no exception, as several major events have occurred. 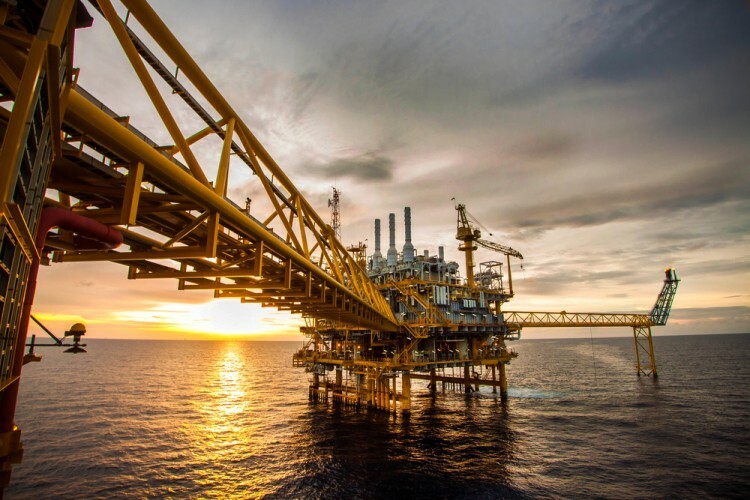 In this article, we examine more in depth the latest events surrounding Freeport-McMoRan Inc (NYSE:FCX), Anadarko Petroleum Corporation (NYSE:APC), Exxon Mobil Corporation (NYSE:XOM), Transocean LTD (NYSE:RIG), and Seadrill Ltd (NYSE:SDRL) and we use the latest hedge fund data to see how the smart money is positioned towards the five stocks. Hedge fund sentiment is an important metric for assessing the long-term profitability. At Insider Monkey, we track over 700 hedge funds, whose quarterly 13F filings we analyze and determine their collective sentiment towards several thousand stocks. However, our research has shown that the best strategy is to follow hedge funds into their small-cap picks. This approach can allow monthly returns of nearly 95 basis points above the market, as we determined through extensive backtests covering the period between 1999 and 2012 (see the details here). Freeport-McMoRan Inc (NYSE:FCX) reduced its debt by $2 billion in a single move this week, by agreeing to sell its deepwater assets in the Gulf of Mexico to Anadarko Petroleum Corporation (NYSE:APC) on Monday. Although traders initially cheered the move on Freeport-McMoRan Inc (NYSE:FCX)’s part and sold Anadarko Petroleum Corporation (NYSE:APC) due to the company’s need to issue some equity to finance the deal, the prevailing sentiment shortly reversed, and Anadarko shares ended up being almost break-even for the week while Freeport-McMoRan stock retreated by over 3%. Traders ultimately thought Anadarko got the better end of the deal because the acquisition would be immediately accretive and generate an estimated $3 billion of incremental Gulf of of Mexico free cash flow over the next five years at current strip prices. As for Freeport-McMoRan, analysts thought that the company could have potentially gotten more for the deal as some on Wall Street had the assets worth $2.9 billion in their models. Carl Icahn’s Icahn Capital LP, which owned 104 million shares of Freeport-McMoRan at the end of June, isn’t complaining however. The move will deleverage the company further and help Freeport-McMoRan focus more on lower-risk onshore plays. Of the around 750 funds we track, 30 had long positions in Freeport-McMoRan Inc (NYSE:FCX) amounting to $1.52 billion in aggregate, representing 10.90% of the float on June 30, while 48 funds owned $2.15 billion worth of Anadarko Petroleum Corporation (NYSE:APC)’s stock, which accounted for 7.90% of Anadarko’s float. Exxon Mobil Corporation (NYSE:XOM) retreated by 3.2% this week as lower oil prices (down by around 5%) and an investigation weighed on sentiment. Regarding the investigation, news broke that New York Attorney General Eric Schneiderman is investigating why Exxon is the only major energy company that hasn’t taken a write-down on its asset values despite the over 50% drop in crude prices. The Attorney General is also investigating Exxon for the firm’s previous knowledge of the negative impacts of carbon emissions on climate change. Exxon has defended itself by saying that it has followed all relevant regulations and rules. The firm also added that the company is usually extremely conservative in terms of appraising the book value for its new projects (and thus doesn’t need to write them down as much as its more aggressive competitors). The hedge fund sentiment towards Exxon Mobil Corporation (NYSE:XOM) has been stable, as 60 funds from our database were long Exxon Mobil Corporation (NYSE:XOM) at the end of the second quarter, unchanged from the previous quarter. On the next page, we examine the events that occurred to Transocean LTD and Seadrill Ltd.